The holidays are here. People running to and fro, looking for the ultimate gift for the kids. Some people will come away with video games, and others with socks and underwear. Whether you celebrate a holiday or not, getting just the right gift for a kid can be tricky. Some of the best gifts can be those that engage a child’s mind. To do that, I’d like to recommend STEM toys. STEM is an acronym that stands for Science, Technology, Engineering, and Math. Not only is it important for young minds to focus on these areas for growth in those subjects, but learning STEM concepts in engaging ways promotes overall brain development. To help you in your search for the perfect child’s gift, I’d like to recommend these 10 toys developed to encourage interest in STEM concepts through play. 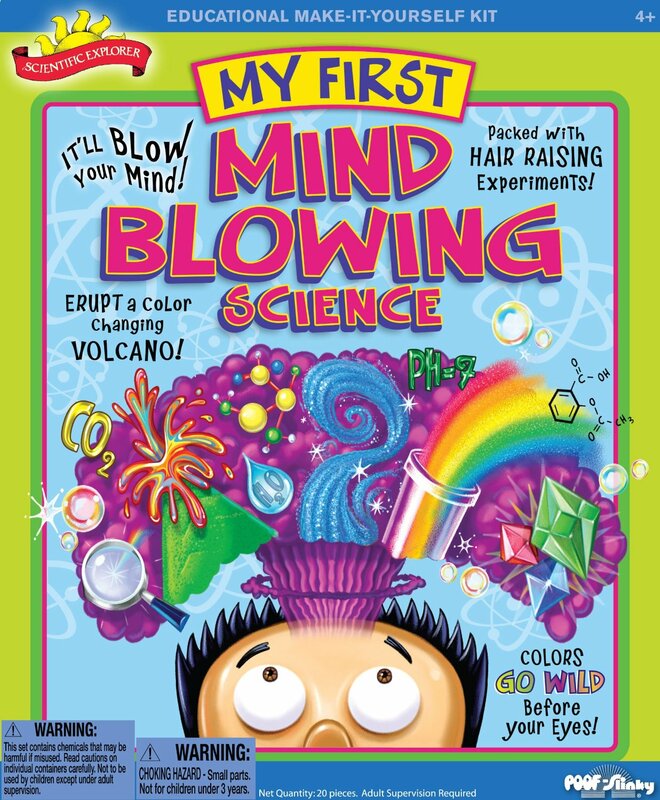 Who doesn’t remember making volcanoes erupt as a kid? 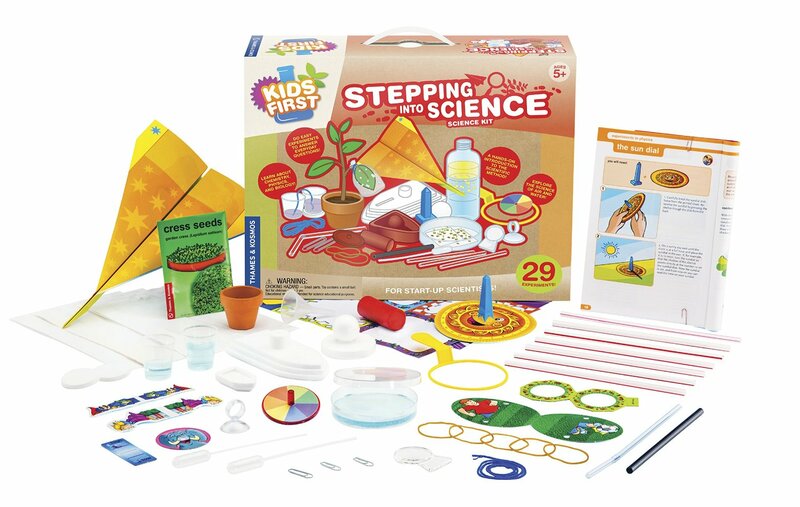 My First Mind Blowing Science kit comes with 11 different experiments to teach little ones the basics of chemistry. 2. Learning Resources Gears! Gears! Gears! Gears! Gears! Gears! 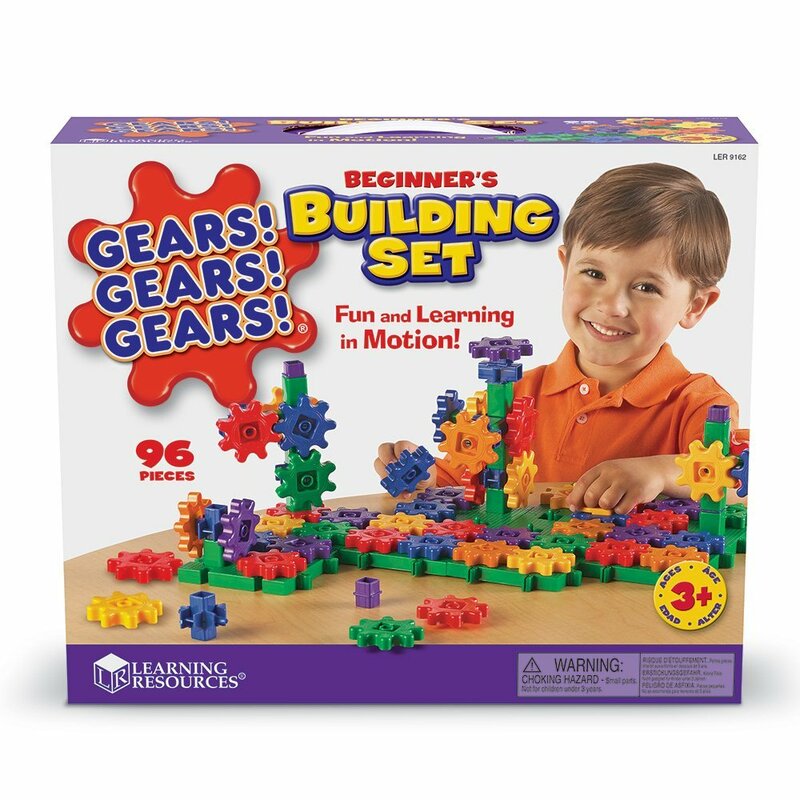 isn’t just gears—it includes connectors, cranks, and base plates to make the interlocking pieces easier to manipulate. Not only does it teach beginning concepts in engineering, but it develops fine motor skills and physics concepts. 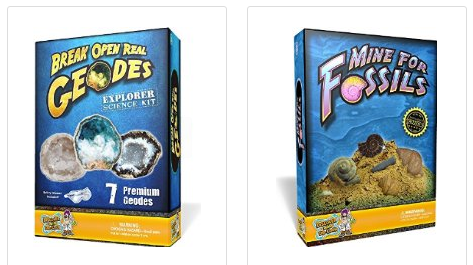 I’m cheating on this gift and showing you two versions: Break Open Real Geodes and Mine for Fossils. Either one is a great option for showing young children that there is more to the world than just what’s on the surface. Stepping into Science has 25 different experiments engaging children in several areas of science. Each experiment comes with a card that describes what’s happening and why, and encourages the child to try variations on the experiment. This is an incredible introduction to engineering. 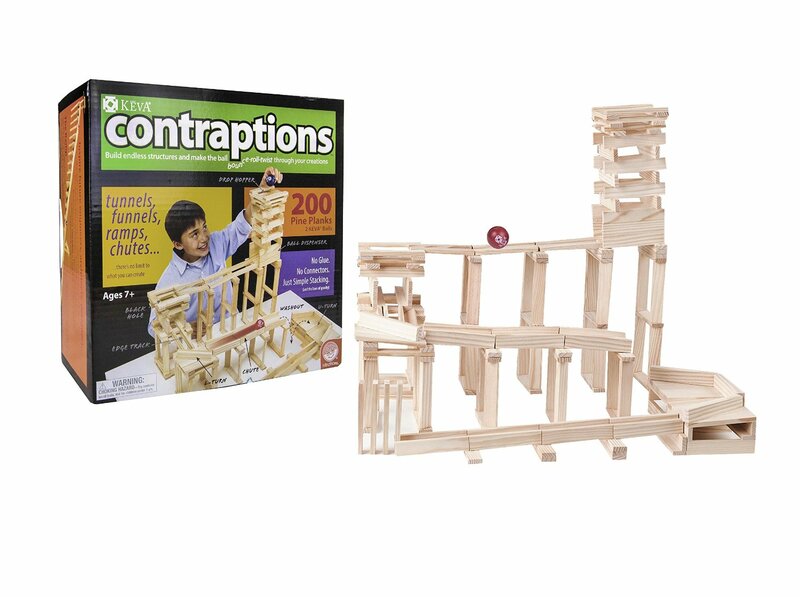 Contraptions is basically just planks that you can use to build various contraptions, including little Rube Goldberg ramps for the included balls. Reading the reviews, this looks to be a toy for the child with patience and focus. 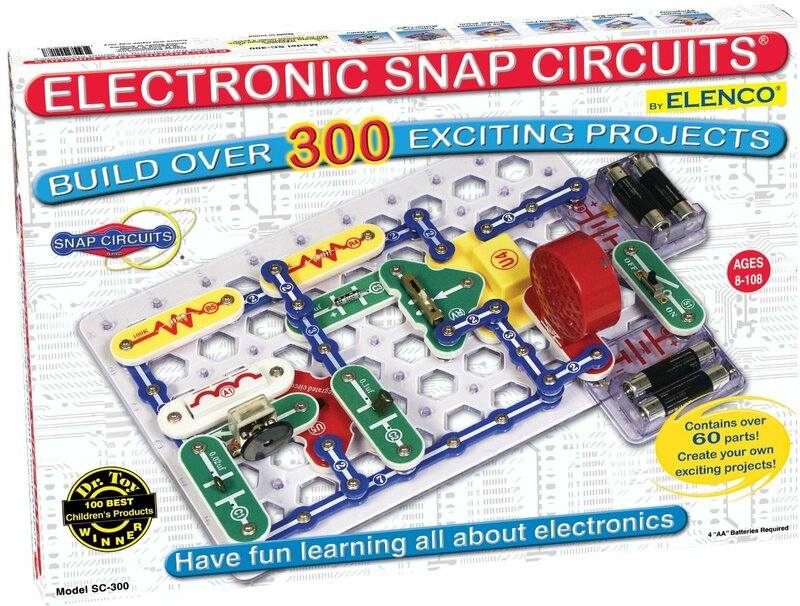 Snap Circuits has a variety of discovery kits to choose from, depending on your price range. The SC-300 Electronics Discovery kit listed here is one of their basic kits, with the ability to make radios, doorbells, burglar alarms, and more. The pieces make it easy to understand how circuits and electric flow works. 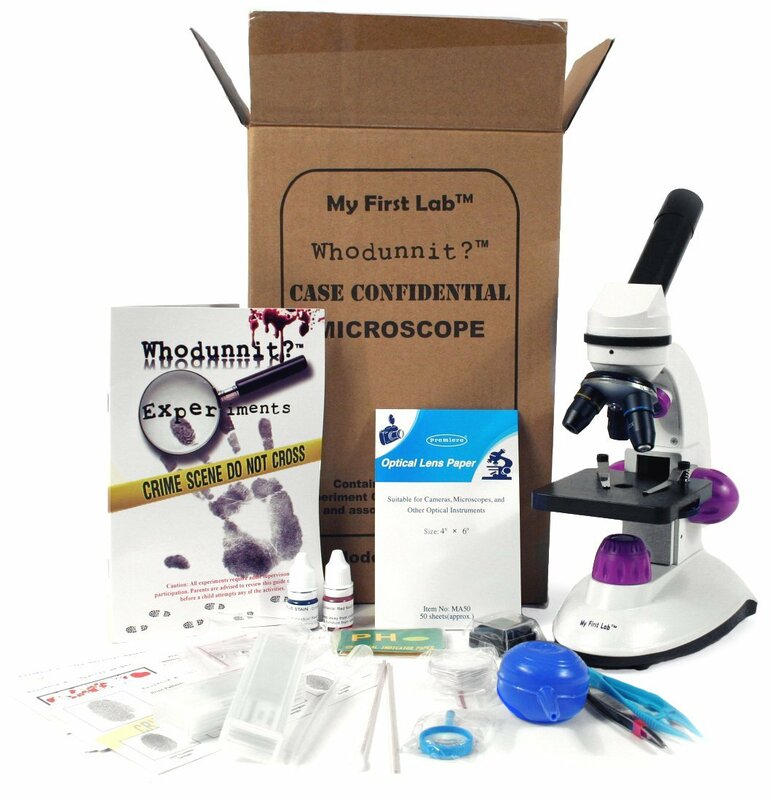 I’m a huge fan of lab kits in general, but I love how the Whodunnit? Forensic Microscope comes with a story to solve. It looks like the microscope is a very high quality—one reviewer talked about how he actually uses it in his science class. Definitely a great buy for your child’s first microscope. The gyroscope is one of the most fascinating physics tools, used in a wide variety of technologies today. 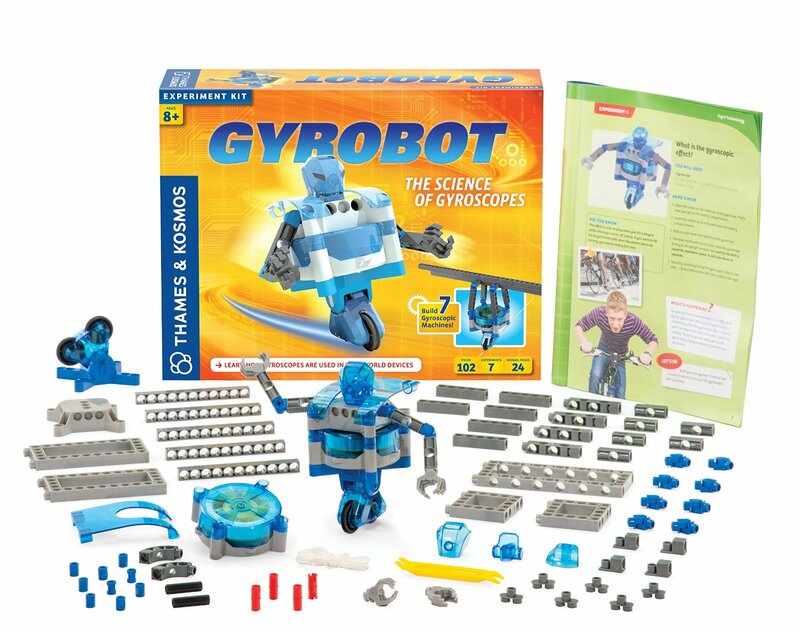 The Gyrobot-Gyroscopic Robot kit includes parts to build 7 different models using gyroscopic machines. 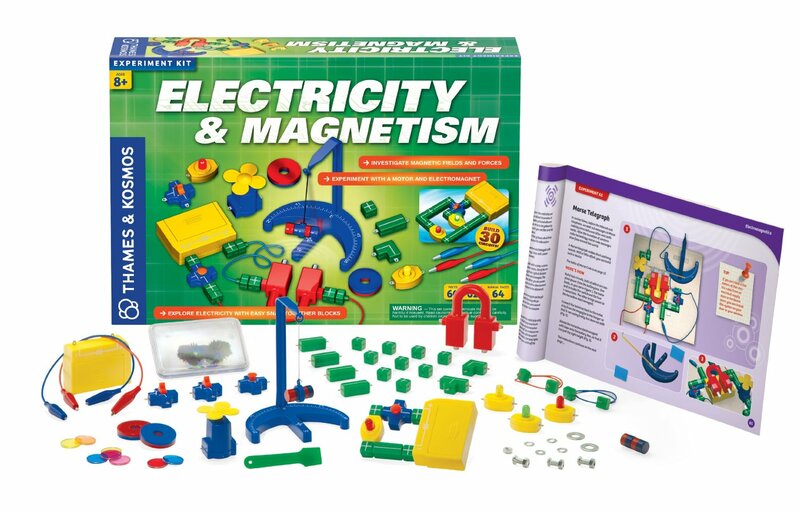 Another Thames and Kosmos product, the Electricity and Magnetism kit is great for showing how electricity and magnets work together to build some incredible technology of our day. It includes steps for 60 different experiments. I wish I had a robot as a kid. 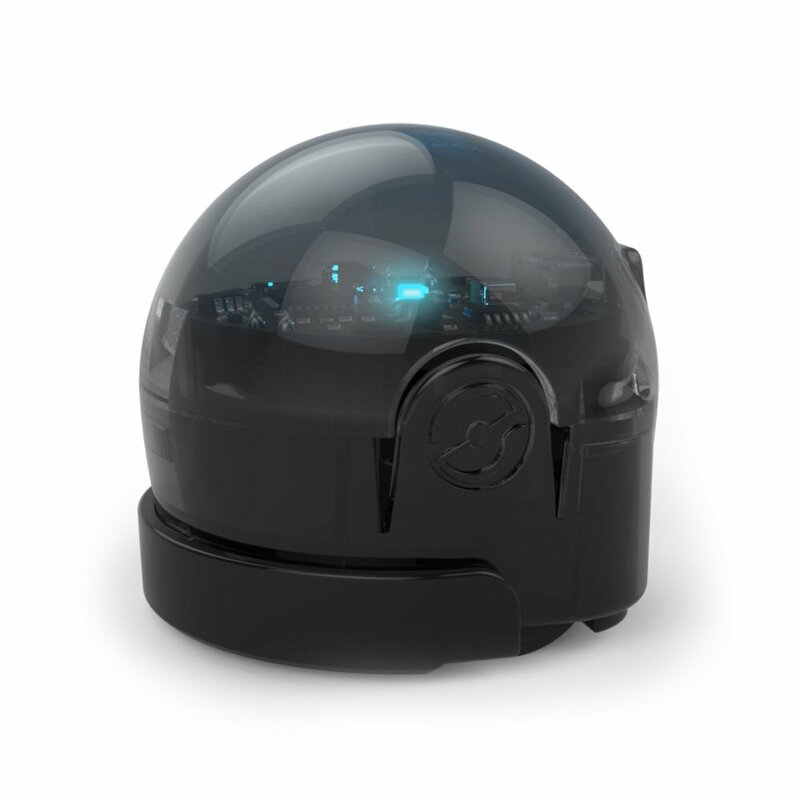 Ozobot’s Bit 2.0 is only an inch tall, but can be programmed to do all sorts of things with the online OzoBlocks programming platform on their website. However, programming isn’t strictly needed; anyone can draw out paths for this robot to follow. Recognized in a women’s restroom as a “local actress,” Jena hopes to break into regionals in under five years. Her geek cred includes growing up at the MN Renaissance Festival and local Sci-Fi conventions, holding a programming degree and a tech job, and never having enough books.